I have a BA (Hons) in Popular Music and Recording and a MA in Education and Music. 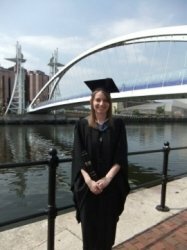 I have been teaching piano for four years, since graduating from University of Salford. I have experience teaching one-to-one piano lessons in the private sector and also as a peripatetic teacher in primary schools. I aim to create a fun and relaxed learning environment in which the student can grow and explore music through the piano.